Adelaide, my good mates Fourteen Nights At Sea and I will be heading your way in June! 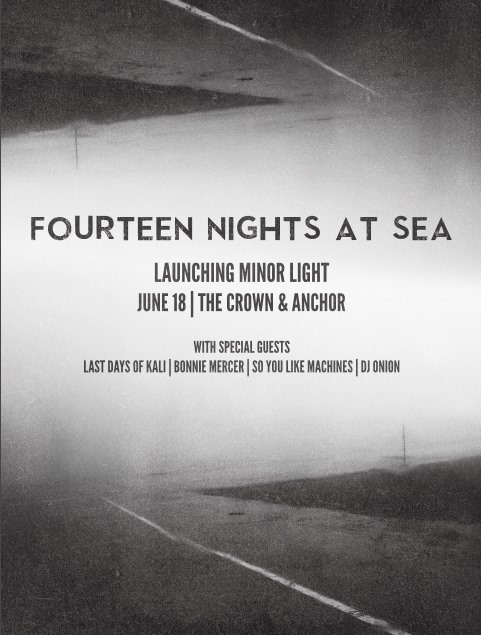 Fourteen Nights At Sea will be launching their new record ‘Minor Light’. Last Days of Kali & So You Like Machines are playing also, and Lara Sulo aka DJ ONION will be spinning some tunes….. See ya soon at the Crown and Anchor!